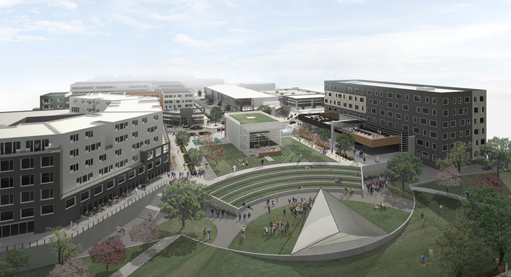 mixed use city center that will transform the heart of the City and create a place of civic pride for all of La Vista. the former Wal-Mart, and most of the buildings and related improvements on the site are being demolished. City Ventures will build a mixed use City Centre, which will include office and residential space lofted above more than 200,000 square feet of neighborhood retail, dining and entertainment space. Construction of the public improvements.